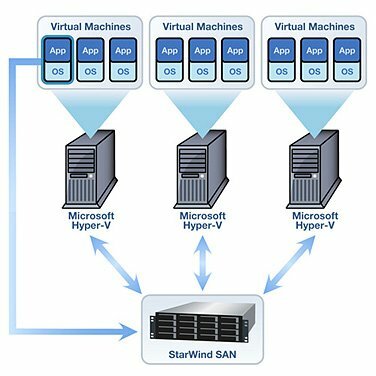 Hyper-V is Microsoft take on virtualization and has recently made some major enhancements to be a strong contender or soon to be new leader in the virtualization market. With their latest version, Hyper-V 3, numerous new features have been added to benefit that small business looking to streamline their virtual machines to even the large scale business to increase production with the utilization of their servers and reducing their operating costs. Microsofts Hyper-V is a built in product to their Server 2012 Operating System so a great point about this idea is if you already have Microsoft licensing, you already have what you need to get started!. This just means equals less overhead startup costs to get up and running if this is your first time getting virtualized and minimal infrastructure changes which in turn means less downtime and loss of production. Hyper-V is designed with the mindset of if you want an extremely powerful virtualization infrastructure, but without the hassles of choosing and purchasing additional add-ons.Other benefits of Hyper-V is its steps it’s taking towards automation, scalability, high availability to ensure that “Always On” infrastructure, and disaster recovery to keep you prepared for anything that might come in between a smooth running network and unwanted downtime. So with all that being said, if you have a VDI environment or want to keep that small network footprint? Do you want to have automation in place for less time needing to train and more time increasing network efficiencies or want to know your network has scalability for the future? How about from hardware failure to natural disasters, Hyper-V with Server 2012 is going to be for you! You could perform live migrations of virtual machines from one server to the other even if you do not have that host in the cluster. Live Migration queuing for full server failures to ensure no data loss?